Why not be a rocket scientist? 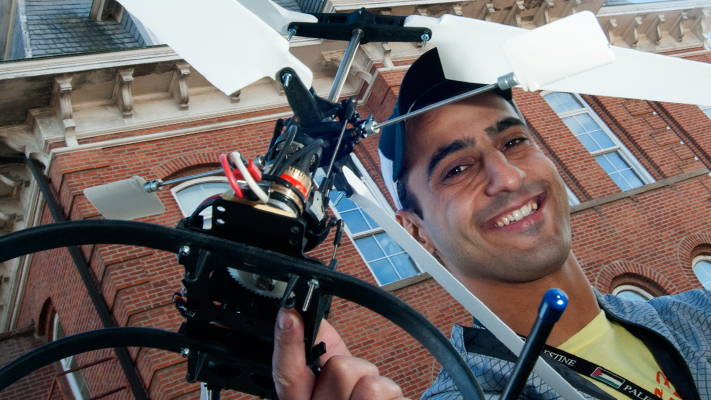 Graduate student Anan Takroori enjoys building planes, rockets and satellites. Photo by B.A. Rupert. Seven years ago, Anan Takroori left his home in Palestine with his eyes set on earning an aerospace engineering degree. He landed at St. Louis Community College for a few years before transferring to Missouri S&T in 2010.